It’s Feb 28th. The forecast low is 22 degrees tonight and ice Saturday morning. It is definitely still winter in Greensboro – and Jim reminds me that “Summerfield is always 5 degrees cooler”. I walked outside to pick up more broken twigs from the last big wind. What?! 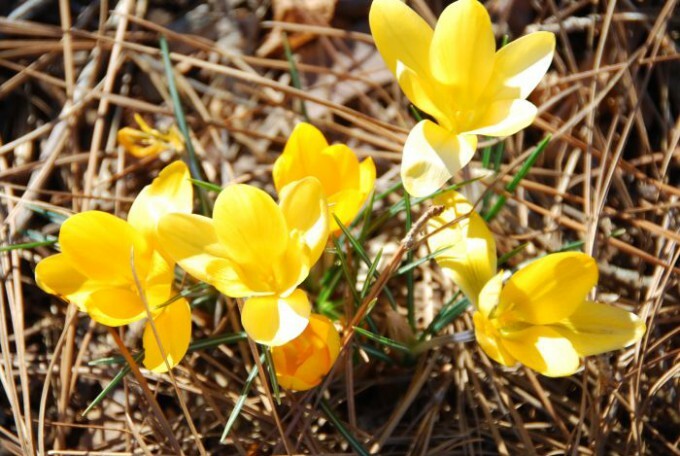 Where the ground was bare only a week ago, here they are – a patch of screaming yellow crocus blooms! I forgot that I had moved them there 10 months ago from another spot where they had multiplied. (Squirrels, voles & deer don’t eat them.) So much joy from that original little bag of bulbs whose only requirement was that you push them into the ground! 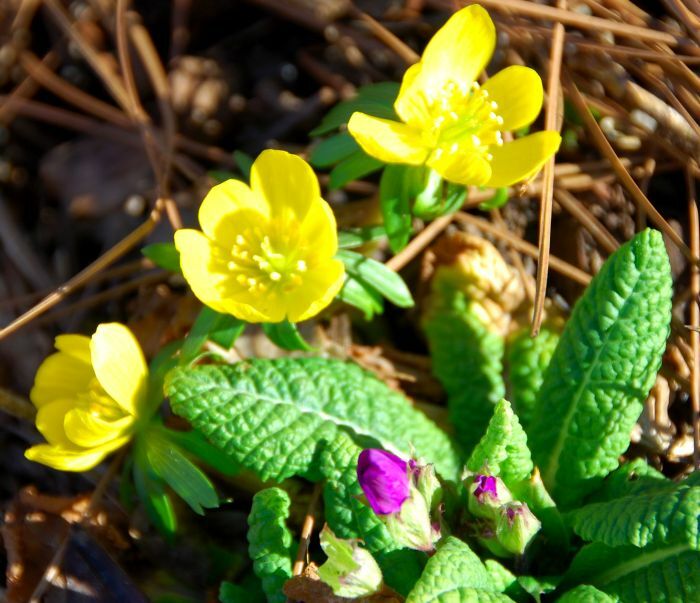 Beside the crocus was the first blooms of pink primrose and the tiny yellow Eranthus (Winter Aconite), which starts from a bulb and then spreads itself by seed, disappearing completely 2 months after it blooms. The first Hellebore orientalis blooms were cautiously opening too. Many of the new shoots are only a few inches high with a promise of their full glory in the weeks ahead. My daffodils have buds on them and spikes of tulip foliage are 2 inches out of the ground. 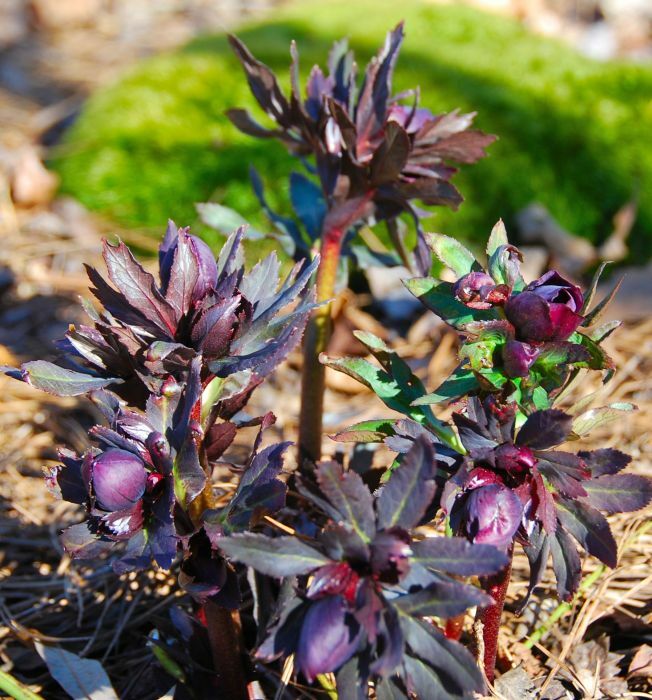 Purple Hellebore with buds beginning to open. I love these little plants so much! After a winter that I feel will never end, they are the reassurance that nature has a grand plan and that spring will be here soon. 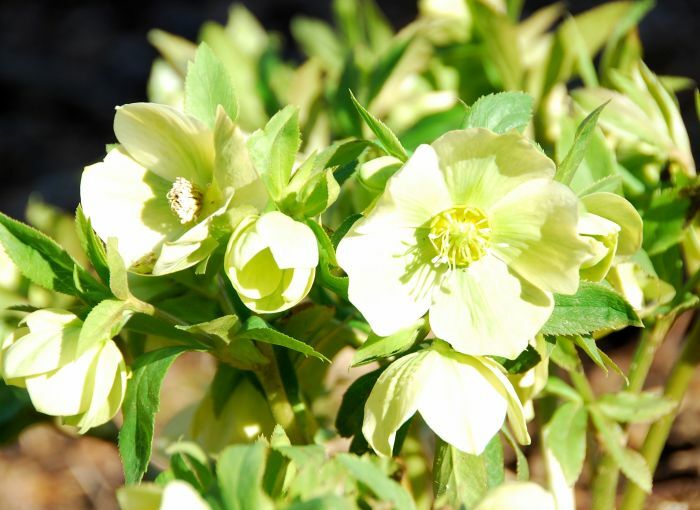 Now is the time to choose from many varieties of Hellebores that are available. Locally, Janice Nicholson of Gethsemane Gardens is the queen of Hellebores! Her nursery in Browns Summit is open and you will also find her she is also at Greensboro’s downtown Farmers Curb Market on Saturday mornings. 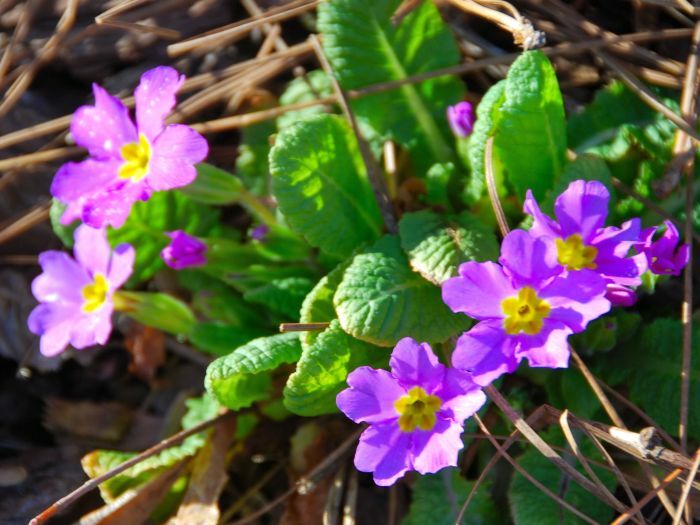 You will need to wait until fall to find fresh bulbs to plant for spring blooms. But now is the time to shop for summer-flowering bulbs such as Gladiolas, Liatris, Asiatic lilies, Crocosmia and more. Beautiful beautiful post Ellen, right here in the winter! Things are blooming! Beautiful pictures!